KLUG Fertigungstechnik is a company in the field of metalworking offering you production technology at the highest level. We guarantee you competence, perfection and a high degree of reliability in order to fulfill your requests. Our company has been manufacturing metal and plastic products since 1987. Satisfied customers have always been our top priority. According to our philosophy, we are constantly striving to expand our production capacities and improve the quality of our production technology. 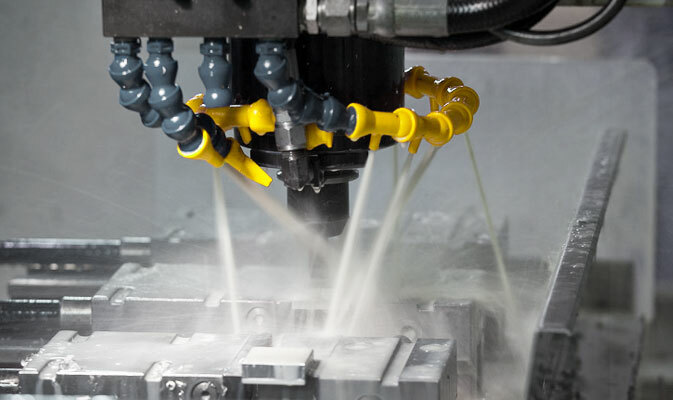 Due to our years of experience and our dynamic team we are able to react quickly and flexibly to your individual, discerning requirements in regard to CNC-milling, CNC-turning, wire-cut, joining technology and a lot of other services.